Life is always better with ice cream. 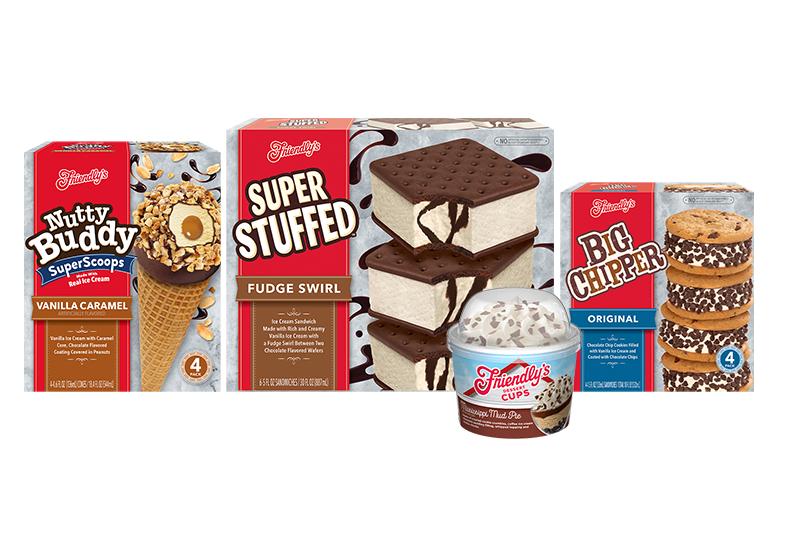 Explore our variety of premium Friendly's ice cream or search by your favorite flavors. Scoop up some fun with your ice cream favorites. Find a store that sells Friendly’s ice cream. Classic scoop shoppe sundaes reimagined in a perfectly personal-sized cup. We're glad you asked. We're always dreaming up new Friendly's flavors. Check out the latest and greatest! Your favorite ice cream truck treats served right at home.